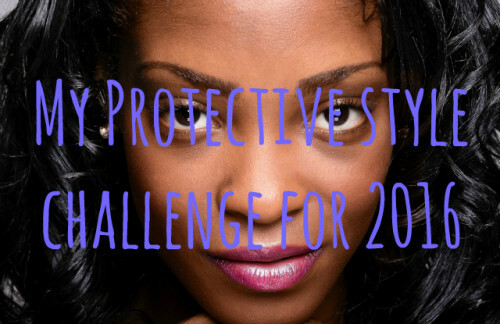 Home / Protective Style Challenge 2016! I’ve spent the last 6 months or so protective styling my hair with braids. It wasn’t planned. I just had to focus for a while on work and I couldn’t spend as much time on my hair as I like to so I decided to throw it in braids. I am very pleased with the results and I’ve decided to go on a protective style challenge for myself in 2016 but readers are welcome to join me as well. 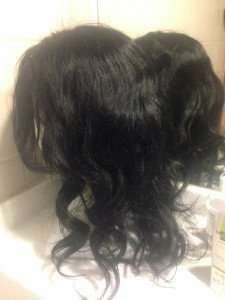 Wear hair in protective styles under wig. 2 – 3 week break in-between every style. Take care of my hair while in the protective style. Measure hair length only twice. At the beginning of the year and at the end of the year. This is the first time I’m wearing a wig long term as a protective style so I invested in the right kind of wig. 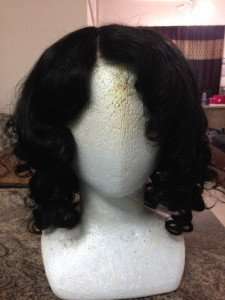 I had it custom made for my head and the length I like. 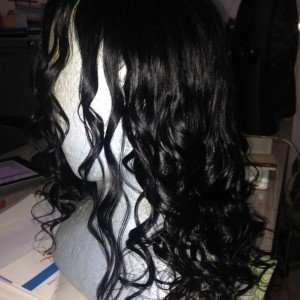 It’s 14 inches, body wave in color Ib. 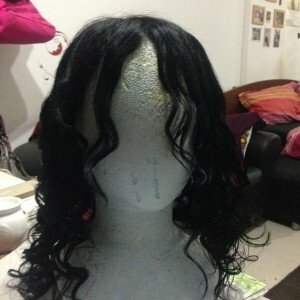 It’s 100% human hair and can be cut, styled, washed, straightened and curled. I’ve tried all that with it and it has held up well. Below are some pictures from out of the pack to various styles I’ve tried with it. Excuse my struggle wig head. It has seen better days. lol. 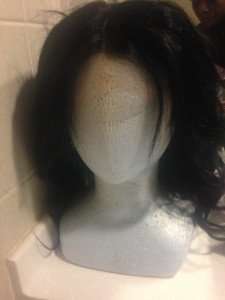 I will be updating the challenge every few months with wig care tips, hair care tips & tricks while wearing wigs, etc. If you would like to join or have any questions about protective styling with wigs and/or braids, drop it in the comments section below! Join the 2016 Protetive Style Challenge on Natural Oils for Hair & Health here, http://bit.ly/1mxSHPf. I would like to join the PS Challenge! When I first got my hair braided it wasn’t of measurable length as I had just big chopped for the second time simply to see what my natural curl pattern is before returning to my beloved relaxer. Contrary to what most people believe, my hair thrives off of being moisturized by oils alone, which is how I came across your site which I love btw! You have introduced me to oils I can’t believe I didn’t think of myself seeing as though I use a lot of uncommon oils. I have been moisturizing my hair exclusively this way for as long as I can remember. I also long term protective style for 4-6 months at a time without any breakage, thinning, abnormal shedding or anything of the sort. I take care of my hair underneath my wigs by simply putting my oil blend in a spray bottle & spraying both my scalp & my braids every day to every other day. Other than the normal shed hairs I experience during take down, I retain almost all my length that I’ve grown during my long term protective styling. I also only texlax my hair once a year in January well all except my edges, nape, & the hair right above my nape hair which I plan to only texlax every other year this method prevents my hair from becoming thin. When not protective styling I also don’t use ANY direct heat & minus my relaxer the products I use in my hair are all natural. I love love henna & I noticed we use the same kind! I’m sorry its such a long post, but I just love talking about hair lol! This pic is my hair before my 1st big chop. I’m sorry I didn’t scroll all the way down. I think I’m successful at long term protective styling this way because of how I take care of my hair on a regular basis. Unlike most people who are relaxed, I don’t blow dry or heat style my hair in anyway. I henna my hair sometimes 3 days apart, a week apart, or longer. I also texlax my hair, so my hair isn’t thin or limp. When not protective styling I only my oil blend to my scalp, which then spreads to my actual hair & then I comb it straight back tie it up with my silk scarf (satin dries my hair out) or put my wig on & go. My hair doesn’t require a bunch of products & I don’t really follow the norms like moisturizing & sealing because for my hair less is more. I don’t know why. Ok here is a pic of the only protective style I’m currently using. 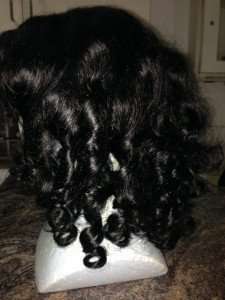 That style is excellent for protective styling because the direction minimizes tension on the edges. 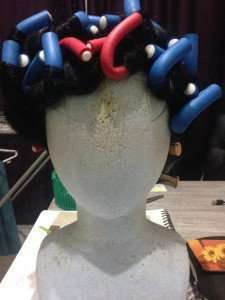 It’s the only type I wear under my wig too. Awwww really this is great! I went from the box braids that are in my profile picture a couple years ago to this style because with my box braids I would have to protective style them in a bun, which was extra work to tip my head forward to get it how I wanted it. Now I was wondering if you have come to a conclusion on the Nzuri spritzer. I’m waiting for it to come in the mail. It has great ingredients, which is what I look for when I select anything & I’m thinking of using it as my leave in conditioner. I’m also looking into YS eco bee farms royal jelly, bee pollen, & Propolis in honey 20,000mg for use in my scalp mix, but that of course means I’ll have to wash more often, which means my beloved ACV washes will be back in full effect as I do not really use regular shampoos or products. I was also wondering if you’ve ever used any of Chagrin Valleys hair teas or shampoo bars & if so what was your experience? Hey, I looked up Kra-Z Gro Fertilzer. Looks yummy. Check out the update here – https://www.naturaloilsforhair.net/2016/04/pj-alert-kra-z-hair-gro-fertilizer-nourishing-spritzer.html. Ok I was thinking you were going to coment on my last post, but since you deleted it I’ll just ask my questins lol…Ok so I was wondering if the fact that I leave my protective styles in for 4-6 months allowed for this challenge because the only timeframe set was the 2-3 wks between styles? And I was also wondering if you’ve ever tried Nzuri KRA-Z hair gro fertilizer nourishing vitamin infused growth spritzer? Hi, I can still see your post. It’s not deleted. Yes, you can still join the challenge. If you are able to protective style back to back and still preserve your edges and the overall integrity of your strands, that’s quite impressive. How are you able to preserve your edges in this case? Oh no I don’t protective style back to back. I protective style for 6 months at a time with one style & then a 2 week break & then back to that same style (beehive as if you were going to get a sew in, 1 or not many braids that go around your head in a circle starting at the bottom & ending at the top). 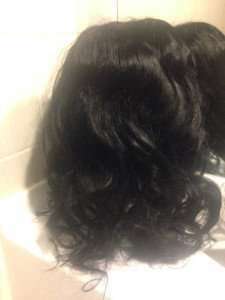 Now washing my hair often does not benefit my hair it reaks havoc on my hair in ways I’ve never experienced until I tried it no matter the method or product, so I do not wash my hair often whether protective styling or not. My protective style does not cause tension on my edges & the key thing for my hair is to leave it alone, BUT NEVER ALLOW IT TO GET DRY, so as long as I have my spray bottle with my oils in it & spray every day to every other day both my hair & scalp are fine if not my hair will dread no not tangle dread, which is what happened the very 1st time I tried protective styling on my 1st go round being natural as I did not know my natural hair smdh. My current braids have been up for 2 weeks & I already had a lot of new growth when I got my hair braided plus I have an oil blend that makes my hair the thickest its ever been: garlic, onion, basil, clary sage, olive, stinging nettle, cinnamon cassia, peppermint. I have an oil junkyism that stretches from here to China literally! Lol! I will be getting crochet braids in the next week or 2 that I will be leaving up for 6 months with a month in between protective styles. My new growth is extremely manageable, soft, & moisturized. I’ve been using sodium bentonite clay to clarify, Amla, brahmi, & bhringraj powders mixed with Queen Helene cholesterol to deep condition as I’ve run out of Henna & plus I’m trying to get rid of whatever I don’t plan to use from now on as I don’t need a million & one products stocked up. I’ve combined Asha+Miel (etsy.com) super concentrated JBCO, Shea moisture JBCO leave in conditioner, some AVG I’ve had in my hair cupboard for some time now, & a batch of flaxseed gel I made to moisturize my hair. OMG! I think I have figured out how to manage my new growth & what may work for my natural hair as well! I will definitely never be big chopping again as length not texture was the issue with me being natural before, so Im thinking about transitioning by alternating between crochet braids & my circular braid & then once I’m natural I’ll go down to 2 months of protective styling until my hair is shoulder length. Do you think this is a good idea? Wilting down your product stash will help with retaining length. Sometimes, too many products ends up working against hair growth goals. Is it too late to join this challenge since we are already mid year? Sorry I didn’t update for so long. I was really busy and now it’s alsmot the end of the year. Will you have another challenge next year? I will be updating end of Dec/beginning of January but hair looks great!